We believe that football skills, ball control, speed and agility are a vital ingredient in developing the footballers of tomorrow. The YO STREET ZONE Football Skills Academy helps to develop and advance talented players. BECOME A BETTER FOOTBALL PLAYER! Our aim is to give young talents in Thanet and Kent the opportunity to improve their skills and creativity with the ball. The skills you learn will be a great attribute and benefit if you are into football on the field AND/OR Futsal. Groundmoves are the artistic and creative way of using ball control techniques. build Your own style and create new moves. Groundmoves can be a great way to show off your ball control skills and can be used to dazzle any opponent. ​Panna is one of the best known genres of street football. Panna is a technique, in which a player passes the ball through an opponent's legs in a skilful way. This type of football has become an increasing trend among kids and adults. Learn how to execute this popular skill in our football skills club! Ball control is fundamental for every football player. Our club will help you master it by doing intricate and detailed drills with the ball, learning to control the ball in ways you never thought you could and becoming extremely comfortable with the ball at your feet .  To join the YO STREET ZONE FOOTBALL SKILLS ACADEMY you need to be selected by our coaches. fill in our application form and read our terms & conditions. You can get thEse forms from us at your first session or you can download them out in advance here for self printout. Also, Every new member NEEDS TO ORDER A YO STREET ZONE ACADEMY TRACKSUIT! Once you have contacted us, we will send you the application form along with the Terms & Conditions. Print them out and let your parents or guardian fill in the forms. Don't forget to bring them along to the first club session you attend.